What Is the Difference Between Yacht Charter & Fractional Boating? 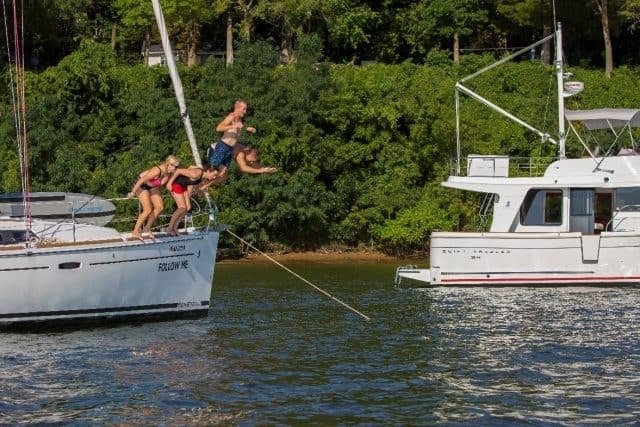 The second of our three-part blog series on the different options for boating in the shared economy tackles the question: “What is the difference between yacht charter and fractional boating?” Let’s dive in and explore these two excellent boating options. Yacht chartering is an extremely popular way for many people to take a vacation and cruise a destination, such as the Caribbean, for a week to ten days. The basics are: fly into the destination, head to the charter base to pick up your yacht for the week, cruise from harbor to harbor (or island bar to island bar), and then return the yacht to the charter base so you can get back to your regular life. Yacht Charters are offered in both bareboat as well as captained/crewed charters which can be added on for inexperienced charterers or those chartering larger yachts that are not bareboat friendly. In general, charter yachts are fairly standard spec yachts. This lends itself well to the charter management company who needs to be able to turn the boat around in a couple of hours for the next charter guests. Typically, the boats are up to 7 years old and see up to 30 different charter groups per year. If you are interested in sailing for one to two weeks per year, chartering a yacht may be the right fit for your style of boating. 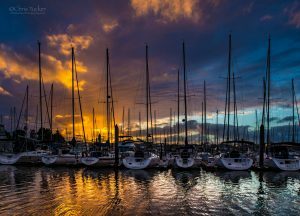 The drawback to chartering is that if you want to go for more than two weeks you will find other options, such as fractional boating, start to make much more sense. If you are a person who likes to boat more than one to two weeks per year or would like those weeks to be spread out over day-cruises instead of a solid week of boating, fractional boating is probably a solution for you. Fractional boating, specifically fractional memberships such as SailTime, offer the ability for you to use a yacht multiple times per month (3 to 7 times per month with SailTime depending on the membership program selected). This ultimately means more time on the water, which is the overall goal right!?! Similar to chartering you show up at the fractional membership base and get on your boat, you enjoy your time out on the water, and then return back to the base. But this is where the similarities end. 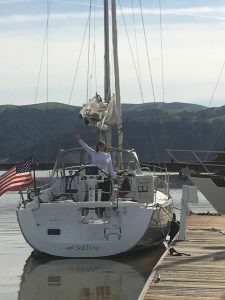 When fractional boating with SailTime, you are one of a few highly qualified members (typically a maximum of eight members) using the boat you joined. This means that the boat will be well looked after. Rather than a turn and burn style of maintenance, which is common with yacht charter boats, you can rest assured that your boat will be in pristine condition. 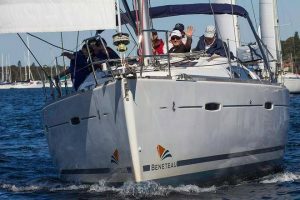 In addition, SailTime boats are well optioned which means you can expect your SailTime boat to have better and higher-grade options than would be found on most typical charter boats. So, you might be thinking, “SailTime sounds nice, but I would like to use a yacht in other locations than just my local boating area”. This is where SailTime gets exciting! With SailTime PLUS you can use SailTime yachts in ever increasing locations around the world. Imagine, using a boat in warm southern waters in the winter or for our southern boaters, enjoying boating with cool summer breezes offered at our northern bases! At the end of the day, you must make that decision for yourself, but at SailTime we firmly believe more time on the water is a good thing for everyone! Thank you for your interest in SailTime and we look forward to serving your needs and getting you on the water with your friends and family as soon as possible! Get more info now to learn about joining SailTime in your local area. You are on the right track to an Easy, Affordable and Smart way of getting on the water!